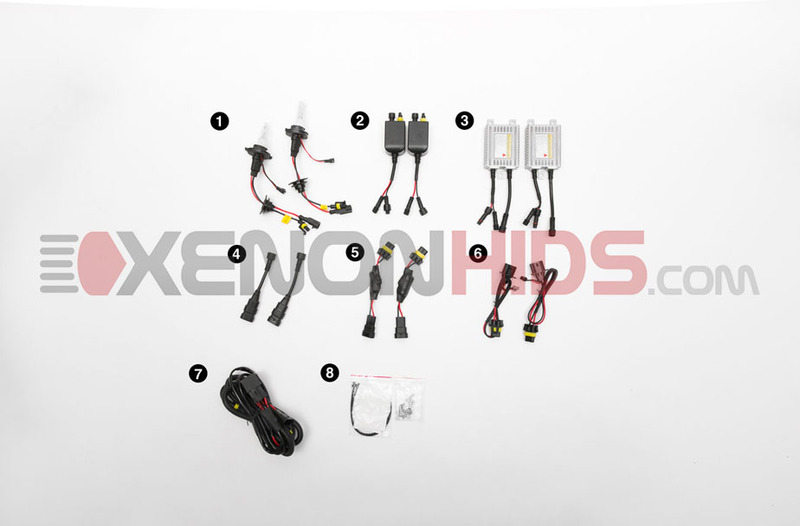 Below are the components included in your Dual Beam Hi/Lo HID Conversion Kit with Warning Cancellers and a Power Relay Harness. This HID kit will convert the low beams to HID, while the high beams will remain halogen. Secure the positive and negative wires to your Battery. Connect the female connector from the Power Relay Harness to One (1) male connector of Factory Harness Adapter. 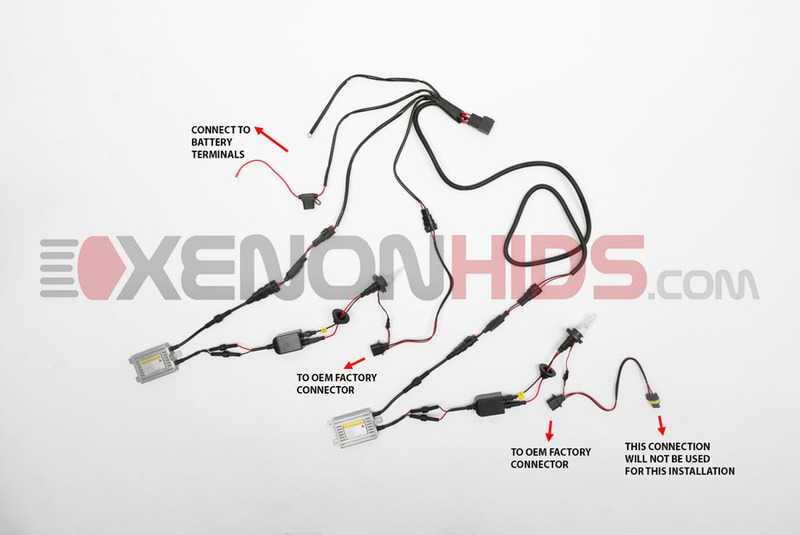 Plug the 3-pin oval connectors from Factory Harness Adapters to your vehicle's OEM factory connectors. NOTE:The male connector from the Factory Harness Adapter on One (1) side will not be connected to anything. 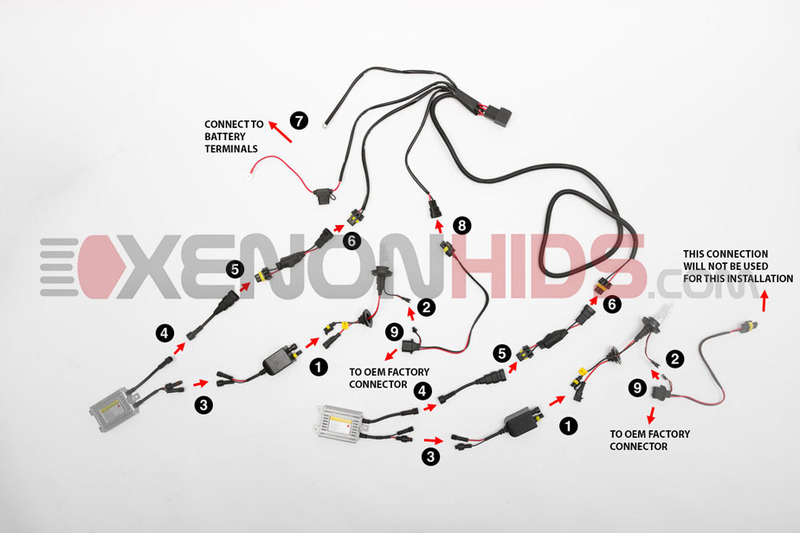 The 3-pin connector from both Factory Harness Adapters must be plugged into your vehicle's OEM factory connector.